Have You Met Dr. Ikeuchi? 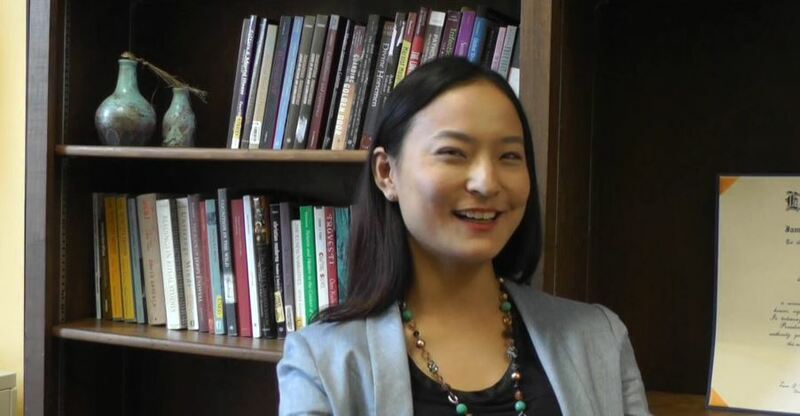 If you’ve been keeping up with the Department’s blog, then you’ll know that we recently hired Dr. Suma Ikeuchi as a new Assistant Professor. In keeping with tradition, the REL film crew sat down for an interview with her. Check it out to learn more about Dr. Ikeuchi and her research, and if you see her around Manly Hall be sure to give her a warm welcome! An Interview with Dr. Ikeuchi from UA Religious Studies. This entry was posted in Faculty Blog, Relevance of Humanities, Religion in Culture and tagged Faculty, Ikeuchi, Interview, Suma by admin. Bookmark the permalink.